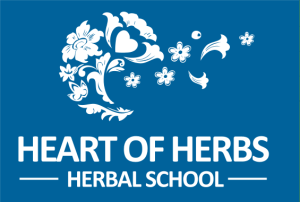 Founded Heart of Herbs Herbal School in 1998. It was a dream come true, and 20 years in the making. I always say that I didn’t choose herbalism, but that herbalism chose me, you may feel the same way. We have always been at the forefront of herbal education, serving over 25,000 students worldwide. One of the core reasons for our success has been the belief and support of each student. Our herbal students are all so individual, and each is offered individual support and care. We at Heart of Herbs want to honor that and embrace that, and use that to insure student success. We have had homeschooling teens to grandmothers (even Demetria’s) in our classes, we are the school for you. At Heart of Herbs we not only encourage individuality and diversity we embrace it! We want to support our students in their lives and support them on their path. Fully supported online education, you will find audio, video links and other traditional learning materials. 24-7 online classroom access. Work when you have time. A dynamic classroom with updated resources and bonuses. At your own pace education that supports your life. We get you, we know you have a busy life and family and understand that you may need extra time or guidance. Most importantly direct access to your primary instructor (Demetria Clark). We know you, as a student have an active life. We want to support you, I want to support you on your journey. Our distance learning programs are popular throughout the world, in the medical field, with midwives, lay herbalists and aromatherapists. Over 50% of our students open their own practice or business upon completing the course and most of the rest already owned a business that herbals work well with or have a complimentary practice. At Heart of Herbs Herbal School we take business and career development seriously. Herbalism chose me, I did not choose herbalism. Do you feel this way? A call you need to answer? This is how my journey began as a child. I started learning about Herbal Healing at a very young age from friends and mentors I had in my youth and in childhood. I first studied under a teacher at age thirteen and I have been involved ever since. Over the years I have formally studied and apprenticed with Rosemary Gladstar (in beginner and advanced trainings), apprenticed with Jane Smolnik, studied the Wise Woman Way with Susun Weed, and attended workshops given by scores of well-known herbalist from all over the world. I have been fortunate enough to “sit at the feet” of David Hoffmann, Christopher Hobbs, Susun Weed, David Winston and scores of other amazing teachers. I received my Aromatherapy education from the Pacific Institute of Aromatherapy and Jeanne Rose. In addition I have studied herbalism in the US, Canada, Switzerland, Egypt, Spain, Greece, Italy, Turkey, France, Germany, Ireland, the UK, Mexico, Caribbean, Central American countries and in many other locals worldwide. I have an advanced level education in Phytotherapy from the UK, Aromatherapy and Ayurveda. I believe that herbalism is part of my soul. It is something that resonates and makes sense to me in my very core. I believe that herbalism is something to share with anyone who wants to learn. I also believe in evidence based health care and I really feel that responsible herbalism can lead the way to vitality and health. When I founded the school in 1998, I wanted to make a program that would work for you. I have been teaching herbal and aromatherapy classes since 1996, starting on Army bases, community colleges, and mother’s groups. This foundation allowed me to craft a program that works for all types of lives and students. Aromatherapy and Herbal Remedies for Pregnancy, Birth and Breastfeeding. Wondering why my name sounds familiar? I am also a Graduate of SUNY Empire State College with a BA in Human Services. I have taken many graduate level college courses in Forestry, Botany, Horticulture, and Nutrition. Additionally I have done graduate work at Midwives College of Utah and Open University in the UK, I was on faculty at the Midwives College of Utah and adjunct faculty at NH Community Technical College, I have taught herbal and aromatherapy classes at medical, midwifery and nursing conferences, and apprenticeships. In addition I was also a Midwife, Doula and trainer and I am the Director of Birth Arts International the premier doula training organization. Andrew Clark is a Senior Systems Administrator who is wonderful enough to support our technical needs. He makes sure phone calls are routed to Demetria all over the world. He administers to our databases, backups, email systems, website and our online classrooms. He has worked with Heart of Herbs from the start. Thanks to him we are always up to date and on the cutting edge. Not only is he an amazing guy, he is my husband and my best friend, on this journey with me since 1990. Jacob Clark is a college student and my son. He is in charge of all of our multimedia projects, since 2012, at the age of 16 he started college and when he can assists us in the office. He is a Computer Science major. Taro, is my son and does some of the audio editing and musical requirements for our videos, podcasts, presentations and webinars. Taro is an EDM musician, with an ever growing fan base. Grace has been with us since 2014 as an administrative assistant and researcher. She is currently also a college student pursuing a degree in Criminal Justice. Furry Members of Heart of Herbs Herbal School. Just a warning, sometimes I have the pups in the office, and they may also want to say “Hi”. Hercules- Our newest family member! A corgie pup. Behr– a gorgeous English Shepard who is a Daddy of the pups. Roxy– AKA Baby Girl. She is Jacob and Grace’s puppy and a delightful Boxer who is a loving as she is slobbery. PigPen– a jolly Shepard puppy who is our newest edition and is believed to be the laziest puppy ever.